I'm running into some clearance issues with the reverse light switch on 69 510 with a dogleg 5 speed. I have the T3 crossmember (VG30 clone) with the Z mount and the switch hits the tunnel. The neutral switch location clears just fine. I believe this is the 63A. I'll post pictures tonight if I have time. 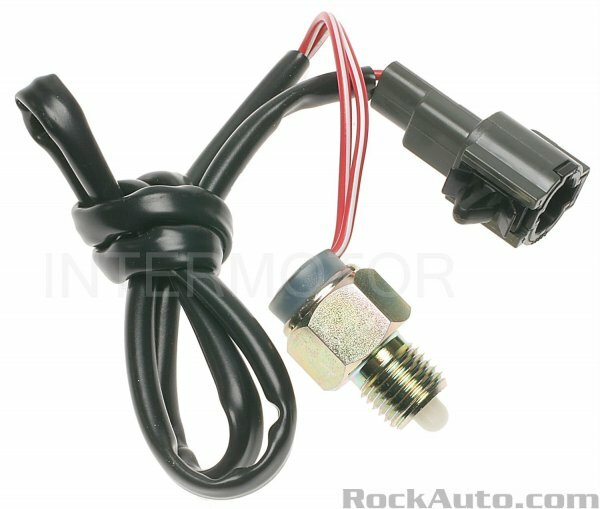 I'm looking for some low profile reverse switches. This one certainly looks promising.. Anyone ran into this with the T3 crossmember and a dogleg? Yea, I had issues, the tunnel broke the terminals off the switch. Laecaon » Wed May 06, 2015 5:35 pm wrote: Yea, I had issues, the tunnel broke the terminals off the switch. Thanks, I ordered it. We'll see what happens. At this point, it does not work. I haven't given up on it quite yet though. Still more work to be done! Switch did not work due to the plastic plunger being about 1/8 inch to short. There may be other workable options out there.. but this didnt work. Modifying the switch resulted in failed switch.